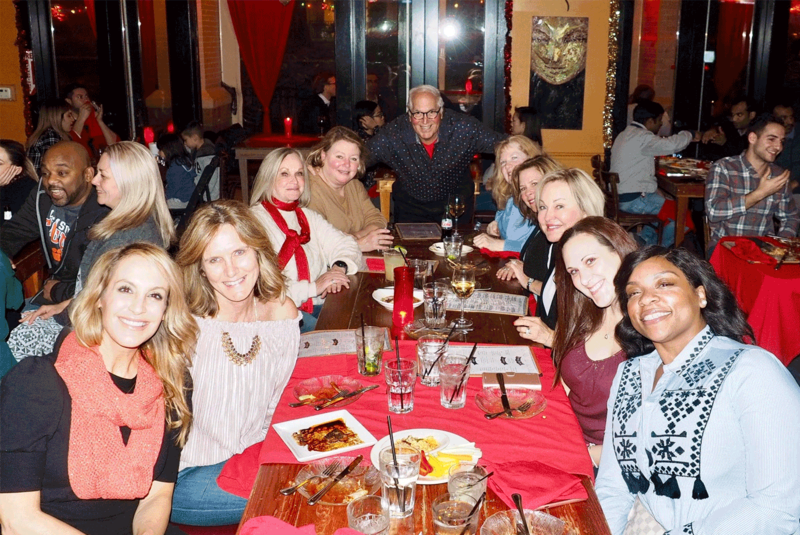 Dr. William E. Silver hosted his annual holiday party last night at Eclipse di Luna on Ashford Dunwoody Rd., Atlanta, GA. It’s one of his favorite places in Atlanta to entertain his favorite girls – his staff at Silver Plastic Surgery Center in Atlanta. We all had a fabulous time laughing and being entertained by great music, food, drink and a few jokes by Dr. Silver. Eclipse di Luna is known for its tasty tapas plates of calamari, grilled asparagus with truffles, lightly fried green beans, grilled lamb chops, Spanish style ribs, and sauteed shrimp with garlic. Everyone left happy and full of holiday cheer! It’s going to be a great 2018 for the Rhinoplasty Specialist of Atlanta!